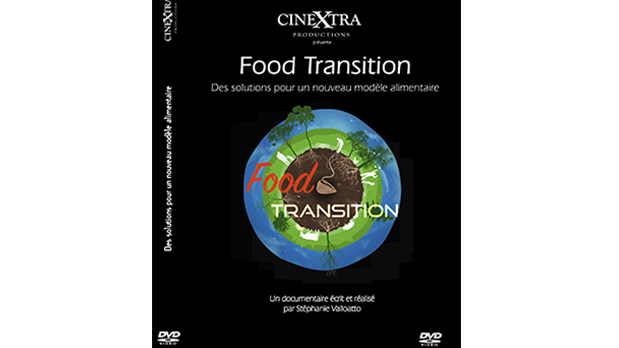 The Food Transition project is to make a documentary film that showcases positive initiatives at every step of the food chain, in France and the United States. On both sides of the Atlantic, farmers and livestock breeders, doctors and scientists, chefs and people working in collective catering, as well as private citizens, are taking positive action. Each of these charismatic characters is striving to enable the emergence of a new model of food production, respectful of land, animal welfare, health and the environment. What do we hope to achieve? As parents of two little girls who accompany us on all our projects and journeys, our dream is to make a film that is at once positive, exciting, human and accessible. We want to shine a light on existing solutions and make people everywhere want to be a part of the FOOD TRANSITION - for their own good and that of future generations. Only if as many people as possible commit to this adventure will we be able to begin filming the documentary and to get distributors on board. 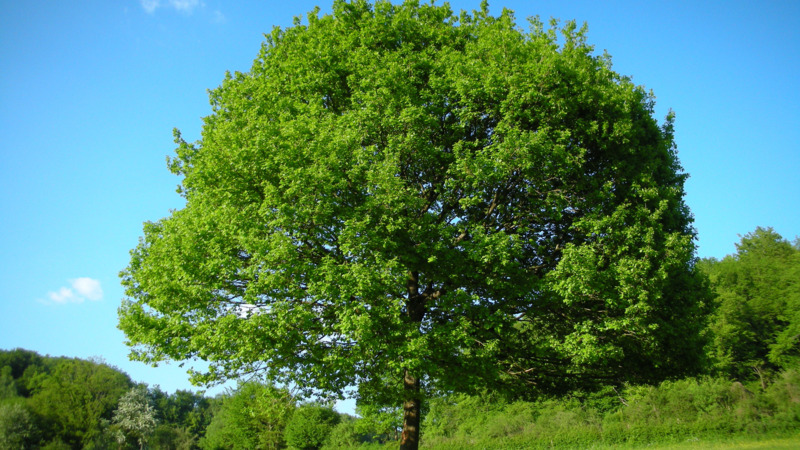 Solidarity CO2 is France's first historic carbon offsetting initiative. La Ruche qui dit oui! (The hive that says yes!) is a network of communities who buy direct from local producers. Compassion in World Farming (CIWF) is the leading international charity dedicated to farm animal welfare. We first met in our second year at high school, and discovered a shared passion for meeting people and travel. From our home in Saint-Malo (Brittany, France) we dreamed of making films that tell the stories of the people who are involved and seek to pass on their knowledge. 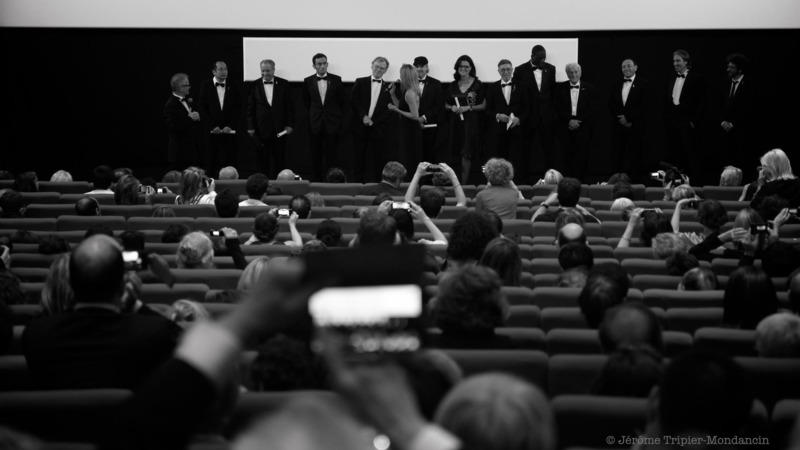 People who open up their hearts and minds to make a better world - these are the heroes of our documentaries! We bought a small camera and a couple of mikes. We organized our location scouting and set off for Madagascar on the trail of a french trade unionist defending African sailors exploited on board tuna-fishing boats sailing under the European Union flag. The film, "Robin Hood of the Seas", was shown on France 3, the French state TV channel. Stephanie writes and directs while Cyrille takes care of images and production. Together, we have directed and produced a dozen documentary films, always focusing on socially-engaged themes such as the importance of origins in "The Memory Smuggler"; human adventure at the edge of the world in "One Man’s Heart, Humanity’s Heritage", and a portrait of Philippe Labro in "Between Shadow and Light" on France 5, French TV channel. Our feature-length documentary "Cartoonists – Foot Soldiers of Democracy" https://vimeo.com/93736623 co-written and co-produced with Radu Mihaileanu, tells the story of 12 cartoonists who fight for democracy and freedom every day - with pencils as their only weapon. 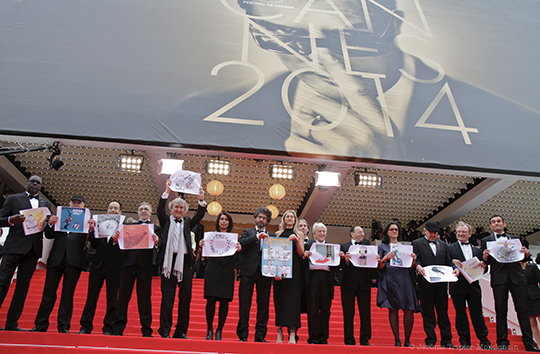 Selected at the 2014 Cannes Film Festival, nominated for the 2015 Cesars and awarded the 2015 Prix Henri Langlois for the Best Documentary Film, it has featured in 80 international festivals. Like many thousands of people in France and the United States, we are constantly meeting an increasing number of sick people: cancers of the breast, pancreas, liver, thyroid and so on. Not to mention relatives with heart problems, and others who are trapped in a spiral of depression. And no one can fail to notice the exponential increase in obesity! And each time we ask ourselves the same question: why? Concerned for our health and that of our loved ones, we decided to take a close look at food. We asked ourselves a lot of questions: What exactly are we eating? How are the animals fed? What are the impacts on our health? And on the environment? As parents, we have a responsibility to leave our children a clean planet, to provide them with healthy food produced from well-cared for animals, and to educate them on the production, care, taste and nutritional value of food. We rediscovered the "We are what we eat" principle by reading Jane Goodall's book. That triggered the idea of making a positive film to gives us keys to inspire, understand, and take action. For a year now, we have been investigating in both France and the United States, speaking to people involved at every step of the food chain: documentation, location scouting, interviews. Our entire food production system is based on the American model ! In just 50 years we went from mixed farming in the fields to intensive monoculture, with the massive introduction of corn, soybeans, pesticides and GMO crops. On farms, industrialization has become the norm: animals are confined, fed on corn, soybeans, antibiotics and hormones, and destined for chain slaughter. And this was before the emergence of fast food ! Our eating habits have completely changed since then: cheap, fast, with flavor enhancers and no nutritional value! France and the United States are facing the same environmental, animal welfare and public health issues. In all these areas, there are farmers evolving towards greater respect for the land, animals and human health by producing high quality nutritional foods. An abundance of signs show that the time is now! In each region, small producers are coming together to sell their products directly or through communities like La Ruche qui dit oui! (The hive that says yes!) 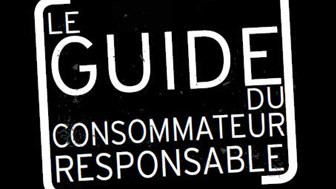 in France ; the CIWF (Compassion in World Farming) is shedding light on conditions in farms and slaughterhouses and succeeding in convincing famers and industrials to progress in terms of animal welfare; “Les Etats Généraux de l’Alimentation » (a French government-sponsored nationwide consultation process) brought together a whole range of actors to discuss ways of transforming our food model; the C’est qui le patron? (Who’s the boss?) brand is changing the game by making the consumer the boss! It’s a magical moment because we are standing on the threshold of a TRANSITION, moving from an outdated model to one that we have collectively chosen and it is a TRANSITION with not just one, but a wealth of solutions. Our aim is to follow in the footsteps of groundbreaking documentaries, such as Coline Serreau's "Local Solutions for Global Disorder" or Cyril Dion and Melanie Laurent's "Tomorrow", by making a film that restores hope! Today, 80% of fields are taken up by corn, soybeans, and wheat. Chemical fertilizers (like lead, arsenic, and mercury) and pesticides are everywhere. 166,7 million acres worldwide are sown with GMO, mainly cereal seeds that generate their own pesticides. The United States is the number one producer of GM crops! The consequences on the environment are disastrous: dead soils, polluted water sources, deforestation and varieties that offer little or no nutritional density. 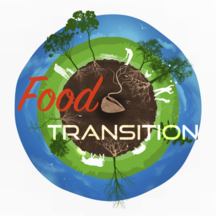 We will be meeting the many farmers and market gardeners using permaculture, agroecology or biological control. A whole range of techniques that can revive the soil: crop rotation, mixed farming, pesticide-free seeds, GM-free crops. And a technological innovation: instruments that measure the nutritional density of the land, fruit and vegetables! All of these initiatives on both sides of the Atlantic are good for our mother earth! "The Rich Earth Scale" by Arnaud Daguin, "Soil Renaissance" (knowledge to sustain earth’s most valuable asset) and "Bionutrient Food Association" (is working with producers to establish growing practices that yield more nutritious crops, while developing a standard for nutrient-dense foods and a handheld tool to measure those nutrient levels) all show us how they can be achieved on a very large scale. International experts confirm that we can feed France, the West and developing countries while at the same time creating numerous jobs through new forms of agriculture. With the advent of intensive livestock farming, millions of animals are cooped up in enclosed areas. Images show us a reality that is totally inhuman and intolerable! Mostly fed on GM corn and soybeans to fatten them up faster, animals contract diseases that require antibiotic treatment and then go on to develop what we refer to as "antibiotic resistance". 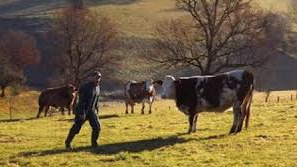 We will be visiting the four corners of France to meet farmers who love their animals and treat them humanely: free range pigs in Brittany, pastured sheep in the South-West, and grass-fed cattle in the Aubrac. 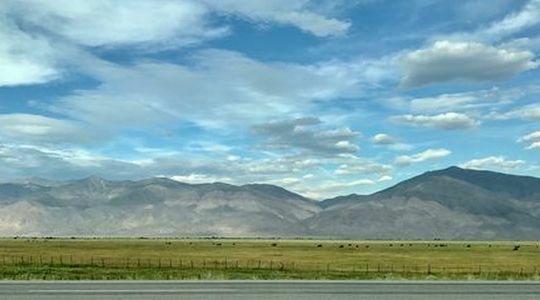 Then we will be crossing the Atlantic to meet farmers who individually or collectively (Organic Valley in the United States brings together 2,300 farming families) make animal welfare a priority by letting their animals roam free, by grass-feeding them. Some sectors in France and the United States are ensuring that animals receive the right ratio of fatty acids for their health (no antibiotic treatments or growth hormones). For ethical reasons, health and the environment, intensive farming is set to disappear in favor of farms on a human scale! Many livestock breeders nowadays are happy to open their doors in complete transparency! But animal welfare will also depend on manufacturers and distributors deciding to make short-term commitments to animal welfare and quality and paying livestock a fair price. This is what CIWF (Compassion in World Farming) is committed to fighting for! Every year 422 million people around the world suffer from diabetes, and cardiovascular disease and cancer kill some 25 million people. According to the World Cancer Research Fund, 4 million cancer cases could be prevented by a change in eating habits! What do all these diseases have in common? Inflammation is at the root of all chronic diseases. But today many foods are pro-inflammatory. We must therefore eat and produce foods that are pesticide-free, GM-free, with high nutritional density and a good balance of fatty acids. 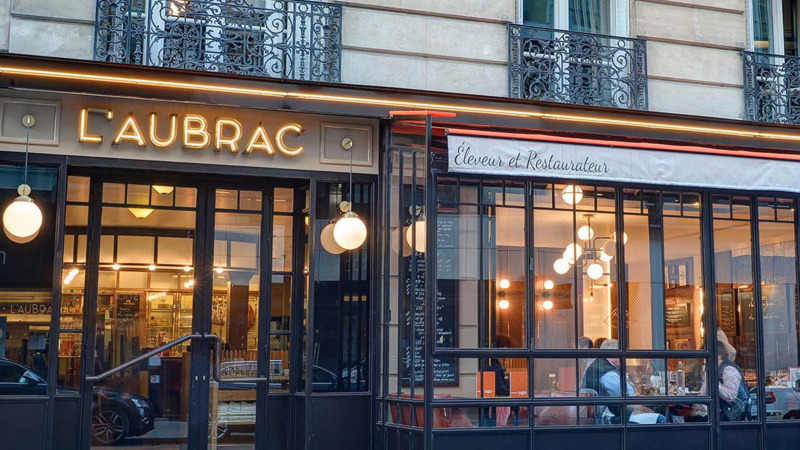 In France, we will be meeting cardiologists and oncologists who are working on the link between health and food. At the Pasteur Clinic in Toulouse, they switched the diet of patients and employees to local, seasonal products with a good fatty acid balance (like grass-fed meat). The results are spectacular! In the United States, Artemis Simopoulos, a specialist in fatty acids, will explain the role of a good balance between omega 3 and 6 in preventing many diseases (less corn oil, grass-fed meat, omega 3 eggs and milk, fish…). 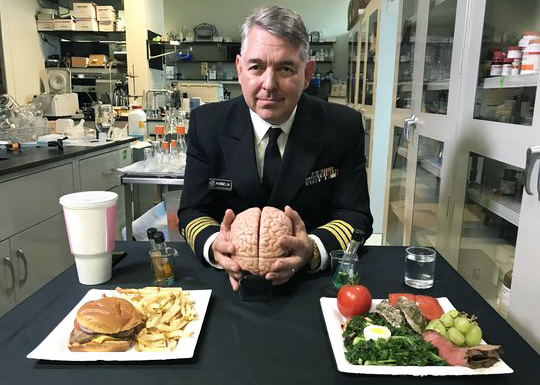 At the National Institutes of Health in Washington, the eminent neuroscientist, Joseph Hibbeln will prove there is a link between fast food and mental illness. In this chapter, we will be using animated images to show exactly what happens inside our body when we eat a food: what is its impact on our heart, our brain or our weight? Food is one of the areas with the strongest environmental impact. Producing on an industrial scale requires land, on which fertilizers, pesticides, herbicides and fungicides are then used. We need machines to harvest crops, and vehicles to transport food. It is estimated that the entire food chain accounts for a quarter of GHG emissions! Whether we are omnivorous, vegetarian, organic or flexitarian, our way of producing and eating directly impacts our environment. We will address the big issues: What is the environmental impact of our food? As carbon is the crux of the matter, how can we reduce the carbon footprint of our food ? The plant world is the key: plants, trees, vegetables, and fruits can capture carbon in the atmosphere and inject it back into the earth. And the way we feed animals has a huge impact on the environment. Soybean and cereal-based fodder significantly increases methane emissions in cattle, while a organic grass-fed beef (high in omega-3) emits up to 20% less methane than conventional grain-fed beef. Livestock channels in France and the USA specialize in this "eco-methane" approach, which is recognized by the UN. French and American environmental experts will explain that depending on the cultivation technique used and the quantity of meat consumed, very different results can be obtained. An omnivorous diet including a lot of industrially produced beef will have a greater impact on the environment than a vegetarian, organic and locally sourced diet. Conversely, a diet containing meat produced in good conditions (pastures, grass-fed, organic) will have less environmental impact. 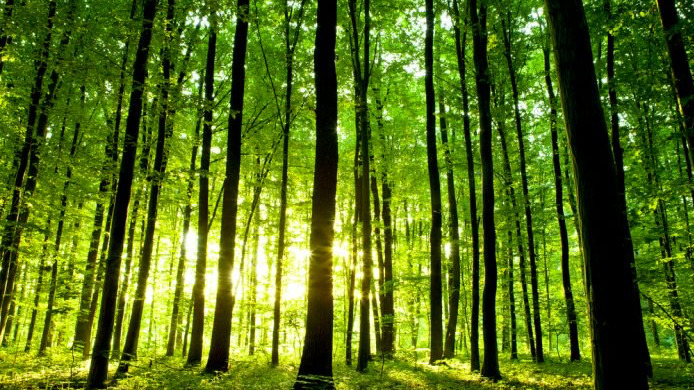 Nowadays solutions exist to limit our carbon impacts and compensate those we have generated by planting trees for example (CO2 Solidaire). Using animated 3D images we will show you how to make the right choices a daily basis. - Taste education: through the work of great chefs in schools who educate children on preserving the land and appreciating the taste of food. 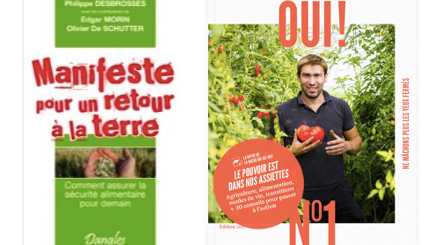 - Direct sales: producers who sell directly from the farm, and who get together to sell their products in small supermarkets (Les Fermiers de la Baie in Brittany, France) or by using lockers that are accessible 24/7 (Mickaël Robin) in Saint-Malo or in New York (Harold Del Lucia at The Farmacy NYC - Fresh, seasonal, local produce raised without herbicides and pesticides and grass-fed beef at an affordable cost). - Apps: free smartphone apps like Yuka that scans food products and gives you clear information on their health impact. Bionutrient is working on a tool for testing nutrient quality: the prototype is in production! - Labels: make the right choices when you buy eggs or meat with products that both respect animal welfare (free-range eggs, organic, etc.) and are good for your health. - The health star: it is being developed to reward chefs and restaurant owners who provide food that is good for our health and the planet. - Collective catering: we will be filming in the kitchens of schools that opted for a responsible canteen using local, organic products and providing varied menus. As Gandhi said, "Be the change you want to see in the world! ". Solutions exist to eat better, and all of us, as consumers, have the power to be part of this TRANSITION by buying particular products, and demanding environmental and nutritional quality to keep our children healthy! Philippe Desbrosses has devoted 40 years of his life to preserving biodiversity. His struggle? 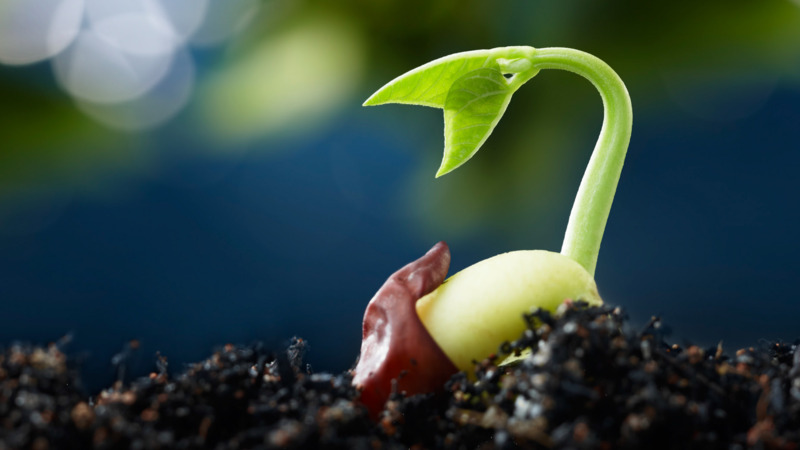 To ensure that open-pollinated seeds are freely available. In the 80s and 90s, he was a passionate contributor to the "Nature and Progress" organic specifications and currently chairs the commission of the National Organic Label. Today, he advocates a "green revolution" in agroecology to improve soil productivity and protect crops by relying on the natural environment, specifically certain trees, plants, animals and insects. He has worked on the family farm with his wife and two sons for 30 years, cultivating some 250 acres of plants, fruits, vegetables, cereals and seeds. Methods of crop rotation and the avoidance of pesticides and phytosanitary products ensure the environment is respected. Dorn describes the various life forms that exist under the earth: roots, proteins, and so on. An active member of the "Renaissance Soil" movement, he is also the co-founder of "Green Start". He aims to focus on the day after tomorrow’s world rather than just on the short term. 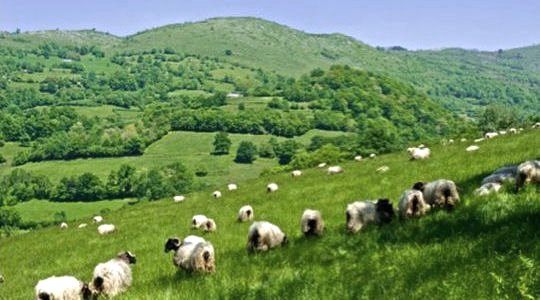 Since 1975, the family farm has been producing sheep’s milk cheese (Ossau-Iraty AOC). He practices transhumance and the ewes graze from mid-May to the end of October. But during the winter, when ewes were fed on corn and soybeans and they systematically fell ill. In 2000, he changed the diet of his stock during the winter by focusing on non-GM, omega 3-rich plant sources, and he found that the level of good fat is as high in winter as when the ewes eat grass all summer! Christian is a cattle breeder's son. His father, who used conventional methods which led to sick animals, veterinary bills and antibiotics, sadly fell ill. As a result of living among animals treated with antibiotics, he had become antibiotic-resistant, and no treatment could cure him. When his father died, Christian realized that he could not go on raising his animals in the same way. His byword, which defines his approach, is “respect” – for animal welfare, the environment and the consumer. 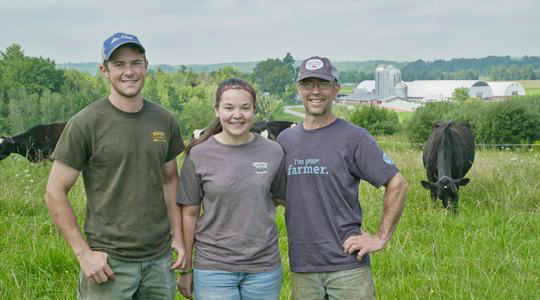 For four generations, the Choiniere family has been producing milk near the Canadian border. Guy's father and grandfather used conventional methods to increase their daily production (corn, pesticides, antibiotics). In 2002, Guy fell sick and decided to go organic. He succeeded in his aim to produce 100% "grass-fed" milk! Guy is part of the Organic Valley co-op (2,300 farms), which was created in the late 80s in response to a wave of suicide in farmers. After studying, Jana came back to the farm to work with her parents. 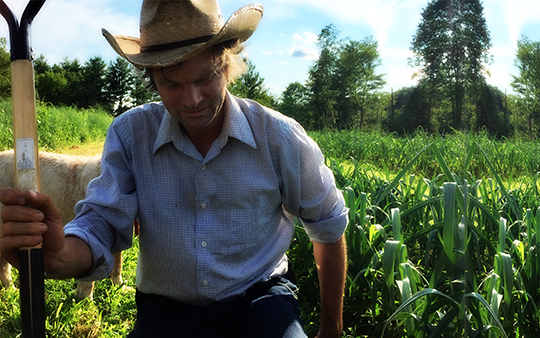 To keep their family farm alive, the McClellands had to become organic. Because the McClelland cows and chickens are eating organic pasture with no GMO’s, pesticides, or commercial fertilizers, it’s believed that their milk and eggs have a variety of beneficial qualities including higher levels of antioxidants and beneficial fatty acids. The McClelland’s provide their family and their customers with the highest quality products possible. It’s their belief that there is a direct correlation between the food that animals eat and the quality of the product being produced. It’s their quest for a top-quality product that drives their operation today as it will for the generations to come. The McClellands are a part of Organic valley. Author of the best-selling book "The Omega Diet", Artemis is a celebrity in the global medical community. In the light of multiple studies, she explains that if the right ratio between omega 6 and omega 3 fatty acids is not respected, people suffer from ill health! Her thesis is widely echoed in the United States, where people are increasingly well-informed. She even spoke in Congress on the move towards "health agriculture". Joe Hibbeln never fails to impress when he speaks in his captain’s uniform. But what is even more impressive is the work he has been doing for thirty years on the link between our diet, our body, and our brain. Author of 130 articles and numerous studies, particularly for the US National Institutes of Health (NIH), he proves that mental illnesses, depression, suicide, and lack of empathy are the consequences of a diet deficient in certain, but not just any, fatty acids! 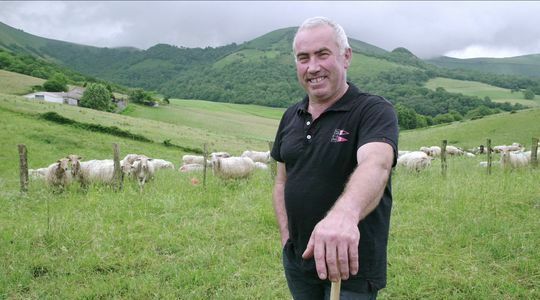 After many years of cooking on his farm in Hegia, in the Basque Country, nowadays Arnaud Daguin defends a living, sustainable and responsible agriculture. As part of the Ecopasseur project, he designed the Rich-Earth scale as a tool for measuring the quality of products. 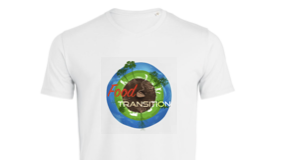 It is a project close to the heart of all those who are dreaming of an alternative agriculture producing alternative food and to people who consider themselves primarily as consum'actors. 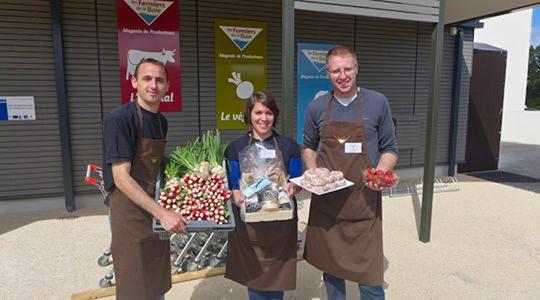 Initially, 10 local producers of fruit, vegetables and meat from Saint-Malo and around joined forces to create their own store where they could sell seasonal produce at a reasonable price. They take turns to sell their own products, and talk to consumers, explain their methods and even invite customers to visit their farm. In the heart of New York, in the district of Hells Kitchen, just two blocks away from Times Square and squeezed between two tower blocks, it is surprising to find an attractive open-air store, with a colorful display of fruit and vegetables. To provide New Yorkers with the best products, Harold Del Lucia had a great idea: sourcing from New Jersey producers, located just 45 minutes away. FARMACY is a play on words that means that if the products are good you won’t need to go to the pharmacy. 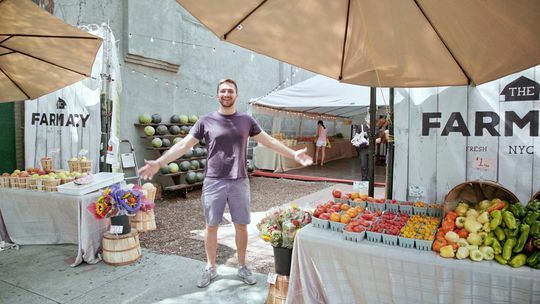 Harold personally knows every producer and offers consumers tasty, eco-friendly and healthy products! 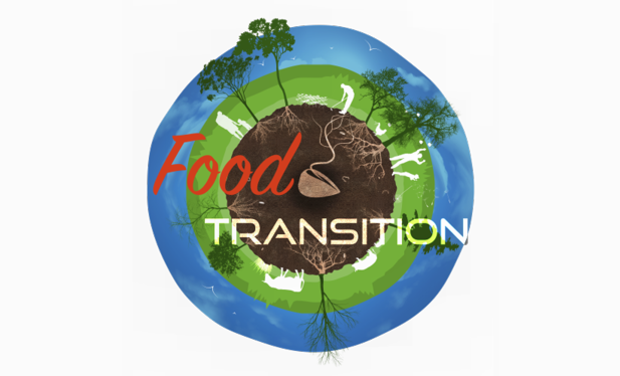 You’ll be helping to fund a movie that will radically change our attitudes to food ! It was during the first phase of location scouting last summer in France and in the United States that we shot the images you can see in our teaser. It is an essential step in writing and preparing a movie. Thanks to our small company, Cinextra Productions, (a company of authors and directors seeking to work on their projects in complete independence) we had the technical means (camera, microphone, small drone, lights) to film on location scouting. For our travel expenses we received support from sponsors and a contribution from the National Center for Cinematography (Preparation Assistance). Right now, we are in transition! We need a financial "boost", a spark to bring this movie that is relevant to us all to life. And our dream is for this spark to come from ordinary people, from a community of citizens. 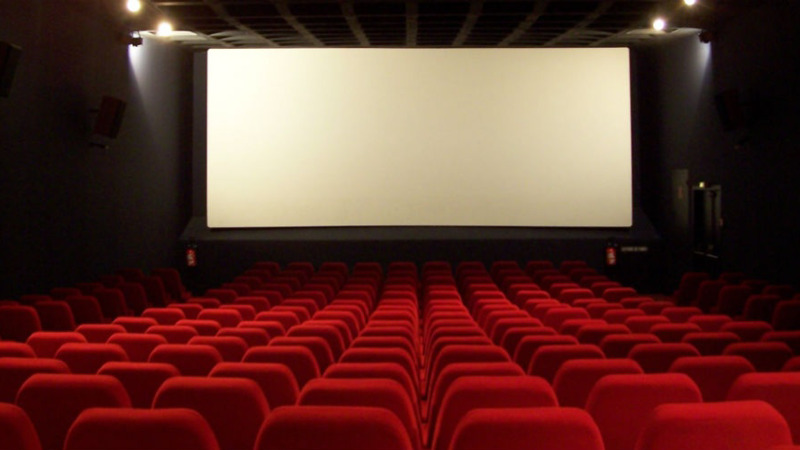 While civil society partners like "The Hive that says Yes!” (1000 hives and 1.4 million members) and the CIWF (220,000 members) have already pledged to support us, we have yet to convince cinema partners like distributors and television channels. So when they see that this movie has the backing of thousands of you, they will want to commit! So that’s where we are! We need you more than ever so that we can make a movie whose ambition is to actually impact real life! Making a feature-length documentary movie (100 minutes) requires editorial, technical, artistic expertise that has a direct economic impact on the film’s production budget. For example, our last movie "Cartoonists - Foot Soldiers of Democracy", filmed in 12 countries, cost $ 1,467,000. For Food Transition, the ideal budget is $ 1.103,000 based on a shooting time of 10 weeks: (6 weeks in France and 4 weeks in the USA). They have contributed to our "development fund" enabling us, ahead of this campaign, to do location scouting, shoot the images for the teaser and pick out sets and characters. They have also opened up their networks to us because they are in full support of the film’s goals, and each one brings their own individual approach, achievements, needs, and desire to act. Thanks to the Bleu-Blanc-Coeur association, the Pasteur Clinic in Toulouse, La Maison de l'Aubrac, and the Up Group for their support which is also the guarantee of our total independence. All the pictures you can see in the teaser are the result of our conviction and one year of work. This is called the development phase. It's a promising start but to begin filming we need you! The more support you can give, the better our chances of convincing our distributors to contribute to our budget. You are the spark that will give life to this project !